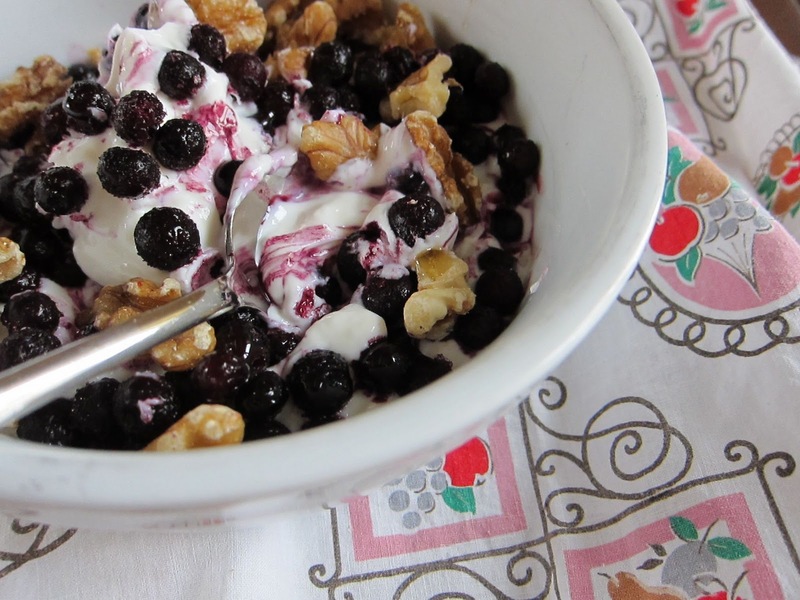 If the blueberries are mixed in straight from the freezer the end result is an amazing, thick frozen yogurt consistency. That's nice sometimes. More often, I'll let the blueberries defrost a little while I'm doing my morning routine. So simple yet so good. because I had a free hour to straighten up my sewing room.